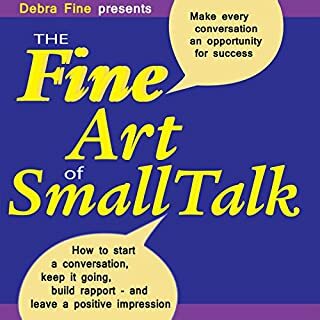 Good conversation is at the heart of networking, meetings, interviews, negotiations and raising your profile. 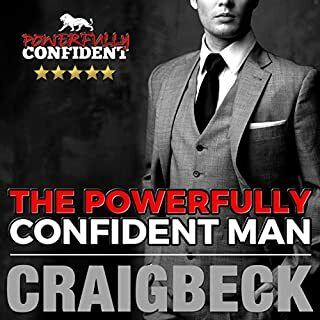 It can ease your way in work, enabling you to build alliances, create strong relationships with staff, bosses and clients, succeed at interviews, motivate and inspire. But conversation is something most of us were never taught! 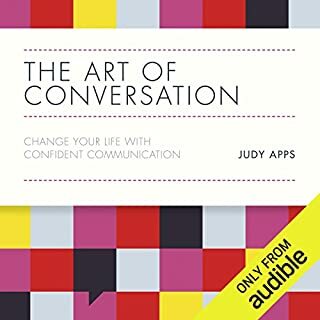 We learn to speak as babies, but how conversation actually works is something most of us pick up only haphazardly, and many have yet to learn. Learn conversational agility to think quickly on your feet, be incredibly smooth, funny, and clever - all at once. Goodbye awkward silences! No matter where you lie on the spectrum of awkward to engaging, witty banter is always the end goal - and it should be. 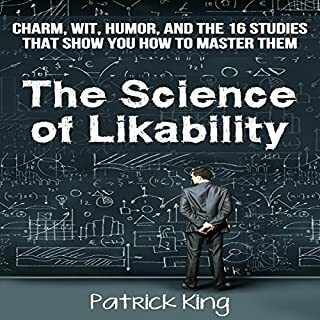 Witty banter, and all the steps that lead to it, allows you to disarm and connect with anyone, immediately exit boring small talk mode, and instantly build rapport. 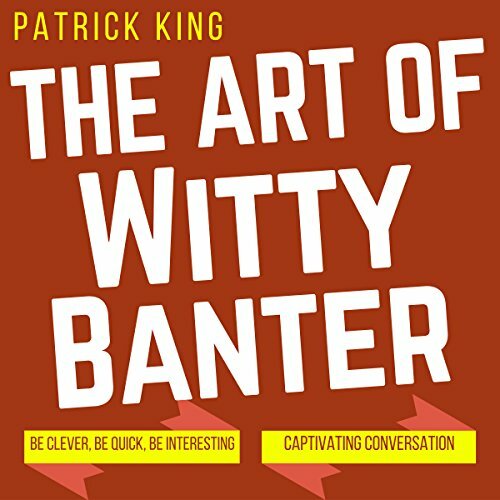 The Art of Witty Banter is a book that carefully examines the art, nuance, and mechanics of banter and charm to make you a witty comeback machine, the likes of which your friends have never seen. You'll be able to handle, defend, disarm, and engage others in a way that makes you more comfortable and confident with each growing day. 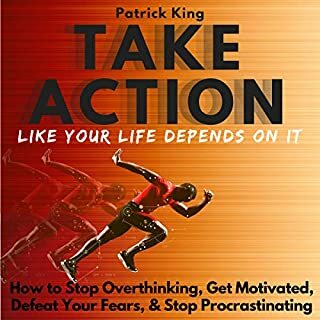 Patrick King is an internationally best-selling author and social skills and conversation coach. As someone who teaches people to speak for a living, he's broken wit and banter down to a science and given you real guidelines on what to say and when. It's more about being a good conversationalist versus being witty. Still, there are some good tips like having topics and stories prepared much like you would have answers prepared for a job interview. Some suggestions include a list ("resume") of unique experiences, interesting accomplishments, interesting things that happened that week, recent fun weekends, opinions on top cultural news, and funny facts about your hometown. Another good tip is to not throw out compliments randomly. Observe what the person has spent time or considerable thought on, such as someone wearing a Hawaiian shirt instead of a T-shirt as most others have done. Compliment the person on his style. Not only would the person appreciate the acknowledgment, it will likely start an excited conversation about how he got into Hawaiian shirts and his favorite colors and patterns. 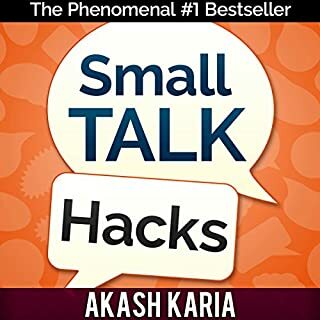 While this would be a good book on learning how to talk to others, I think he should drop the word "witty" from the title. I read it since I enjoy humor. This author's witty remarks didn't strike me as humorous. on most of his "snappy" comebacks I not only wouldn't be amused, I'd be insulted. How to be a better conversationalist. 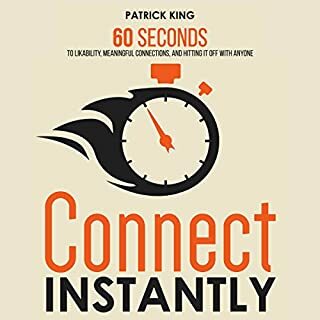 (Good reminders for those of us with ADD or are just plain self-centered in conversation) Straight forward guide for engaging conversations in a bullet-point presentation. Entertaining and informative. Nothing really new here, but that might just be me. I can see where some may bemefit. 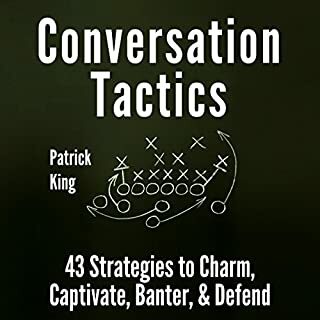 The entire first 75% of this book is just focused on learning some tools to become better at keeping a conversation going, not with actually being witty. 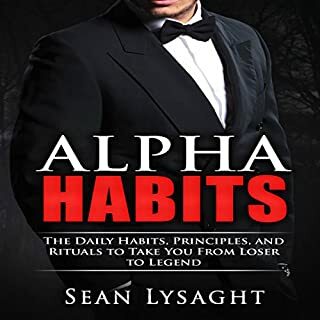 Most of what he says is pretty accurate but the title of the book is misleading and he's written other books with a lot of the same content as the first large chunk of this book. 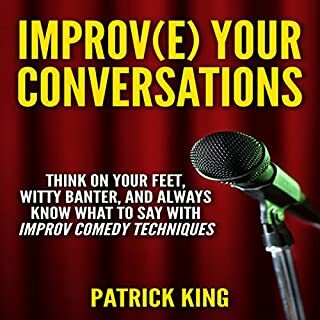 It does have some good info in it tho and would recommend it to anyone looking to improve their wit. 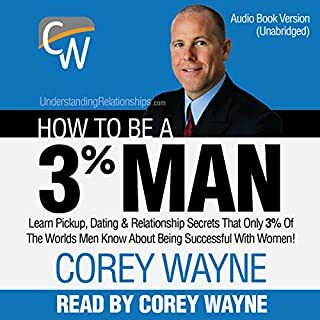 Just make sure you listen to the last three chapters! I'd pass on this one if I were you. Narrating was brutal at times with this one and didn't have the effect I hoped. 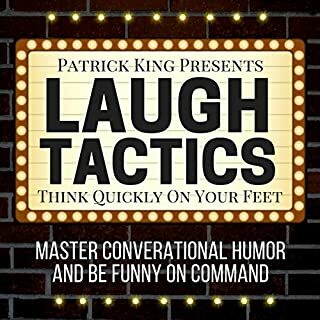 Where does The Art of Witty Banter rank among all the audiobooks you’ve listened to so far? 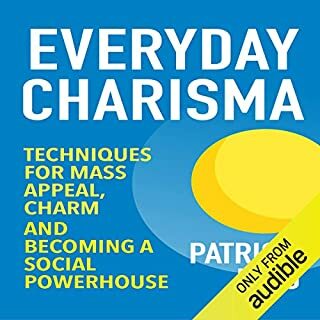 Good book with practical techniques. Which character – as performed by Joe Hempel – was your favorite? I loved the narration. Joe's performances are engaging and cast the premise of the book well. This book is well written and the narration is good. Most of the content seemed to be common sense to me, but I suppose not everyone is raised the same way. 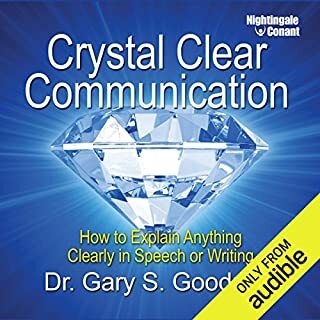 It's still a useful book to read—while none of the concepts were particularly new to me, the way the author has classified various aspects of communication is useful for increasing one's awareness of the typically subconscious. This awareness may help one converse with more clarity and intension. 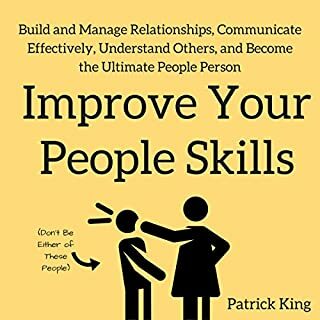 To me, it seems like this book is more about refining skills than developing new ones. 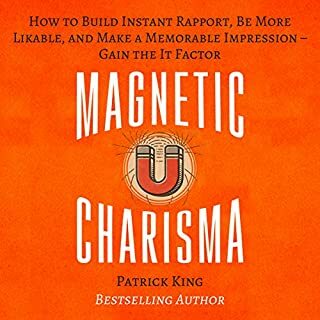 Here's my three big takeaways from this book, and they're not so different from what Dale Carnegie said years before: listen more than talk, be kind and genuinly encouraging, and be intentional about what you say and how you say it. I suffered half the book waiting for how it is to construct a witty banter. I had to jump a few chapters to find that the last 2 or 3 chapters are the only ones pertaining on the subject. This book could have been written way much shorter or may be reduced to a blog. if it was not for the short amount of time of the read, I would rank it lower. it very generic and doesn't offer any new ideas but for people just starting out its not so bad. 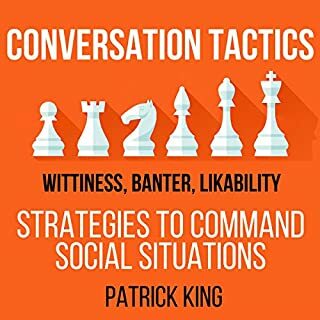 This has nothing to do with witty banter more a beginner's guide to conversation for the socially inept. Very disappointing . Utter tripe. A Painfully pedestrian stole through the autistic ramblings, examples of 'clever conversations' given are eye gougingly moronic and lack even the basic understanding of a playful exchange, they are devoid of wit and charisma. Annoyed I wasted my hard earned cash on this cak!